We are group 7 and we are going to be sharing with you guys our work on Love, Bonito! 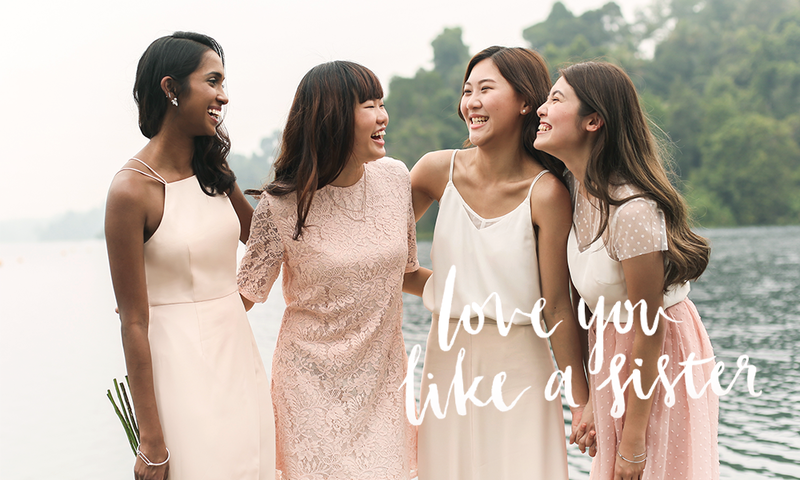 Love, Bonito is an fashion e-commerce that pioneered the online shopping scene in Singapore way back in 2006. Initially named Bonitochico, it started out as a company selling second hand clothing but gained so much popularity that they started to design and manufacture their own clothing. With a few others, they unknowingly kickstarted the ‘blogshop’ in Singapore. Currently there are an estimated 50, 000 fashion online stores in stark contrast. Love, Bonito continued to grow by collaborating with famous designers such as Ted Saverio. Love, Bonito established itself as the local market powerhouses with 15% of the market share but is in a precarious position with more mass retail e-commerce sites setting their sites on larger influences e.g. Zalora. Our group set out to find out Love, Bonito’s current position in the social media market and how we can improve it to help meet their goals of increasing market share, improving brand image and attaining their goals of empowering women to reach their goals by extending confidence through style. Short term: The Love, Bonito Woman Campaign and What Should She Wear? My group and I will be presenting on Breadtalk for our group project. As most of us may know, Breadtalk has recently come under fire on social media for the soy milk incident – a photo was circulated on Facebook showing it selling repackaged Yeo’s soy milk even though the bottles had the ‘freshly prepared’ labels on them. Breadtalk suffered many criticisms and backlash, but the company has chose to ignore the negative feedback online resulting in more negative word-of-mouth on social media. Our group feels that Breadtalk needs a more effective social media strategy to deal with its post-crisis challenges. We identified Breadtalk’s short-term problem as the negative word-of-mouth that is worsening its brand image. More importantly, its long-term problem is the continuous loss in customer trust in the brand, potentially resulting in customers avoiding purchase of Breadtalk’s products as a whole. Therefore, in the short-term, we propose 1. To have a “BreadTalkers” forum to control and address negative feedback. 2. Launch a PR-focused social media campaign to create positive buzz and sentiments. This campaign, #TearAndShare, will center on letting customers share their happy moments enjoying Breadtalk’s bread, and how sharing the bread with their family and friends can enhance their moments together. In the long-term, Breadtalk definitely needs to rebuild customers’ trust towards its brand and products. Thus, our third strategy is to launch a “GetTalking” community website that connects customers in a closer community using various engaging and informational ways to increase customer trust. We look forward to share with you more details of our social media strategies tomorrow! My team and I would like to present our social media analysis of our client company, that is Burger King. Founded in 1953, Burger King has grown to become the second largest American fast food chain with over 12,000 franchises in 73 countries. Its mission is to offer reasonably priced quality food, served quickly, in attractive and clean surroundings. Additionally, Burger King actively engages and collaborates with their employees, business partners and people in the community as they believe they have a vital role to play in neighborhood and environment issues, such as providing careers and promoting healthy lifestyle messages. With these ambitions in mind, they have crafted numerous commitments to guide its business, many of which are to support and invest in employees and customers, as well as providing high quality yet affordable food. Curious to find out more about Burger King’s social media use? Then you have to catch our presentation tomorrow! We are Group 2 presenting on the social media analysis of Coffee Bean and Tea Leaf (CBTL). The group consists of Elizabeth, Juliane, Jeannie, Mark and Jingfang. As coffee lovers ourselves, we often wondered why CBTL is perceived to be less competitive despite its superior coffee quality in the local market. Therefore, we embarked on a study to assess the effectiveness of CBTL’s social media strategy in boosting its presence locally. On top of CBTL’s strong commitment to delivering quality coffee and tea products, its drive towards perfection is exemplified by a strong emphasis on employee excellence. CBTL’s mission is to “create a spirit within their company that inspires their team members to provide their customers with a total quality experience: quality of product, service and environment”. In addition, CBTL is also famous for inventing the Ice Blended Coffee drink back in 1989 when a barista decided to bring a blender to work. The drink remains as one of its signature beverages even till this day. Unfortunately, CBTL is not widely associated with its quality products, and is often perceived as an alternative to Starbucks in Singapore. Considering both the primary research of consumer perceptions and secondary analysis of CBTL’s current social media marketing efforts, our group proposes for key changes to be made to their current social media presence to harness untapped potentials. We devised a social media campaign that embodies an overall message strategy that seeks to engage consumers through universally accepted themes of friendship, love and gifting. Such themes help to build emotional resonance, and allows CBTL to create new strands of connection and impressions with consumers, apart from its quality offerings. We look forward to presenting to you guys tomorrow! Please don’t be late friends! Thank you very much! My group will be presenting on Lululemon Athletica Singapore. Founded in 1998, Lululemon Athletica Inc. is a Canadian athletic apparel company with a strong focus on yoga-wear, and is a relatively new brand in the Singapore market. Due to its new entry, its current social media has a low following and its usage has not been effective in raising awareness for its brand. Besides low brand/product awareness, Lululemon has a poor brand image as a feminine brand. Also, its current social strategies of using ambassadors like fitness coaches and local athletes have not been effective. Consumers do not remember the social media posts by Lululemon, and think that Lululemon’s style of engagement is ‘boring’ and ‘irritating’. Their current social media campaign taglines are not memorable as well. As such, our group proposed strategies aim to raise brand awareness, engage consumers in conversation online, and increase awareness of the versatility of its products so that Lululemon does not alienate its male consumers. Looking forward to share our proposed strategies with you! Thank you to group 1, 3, 6 and 9 for posting your group project blurb! Our group project is on LaSalle College of the Arts – the Arts school that is near SMU. We decided on this as our group project because we feel strongly for the lacklustre arts landscape in Singapore despite the government’s efforts to boost it. As a result, LaSalle, like NAFA, is facing a fall in enrolment rates but at a faster rate than NAFA. We chose LaSalle over NAFA or SOTA because we feel that our recommendations will be better implemented in an institution that is open-minded and supported by state-of-the-art facilities. Opinionated adults may also be more inclined to partake in the implementation process without the influence of parents. While NAFA advocated structured learning, the origin and the background of Lasalle sowed the seeds of a pro-Western, creative, and contemporary art system that advocates independence, freedom, and exploration of the unknown (Lianhe Zaobao, 2014). Therefore, this poises Lasalle as fertile ground for great positive change. Our group has hypothesized that LaSalle’s fall in enrolment rates can be attributed to the perception that there is no future in the arts in Singapore as well as the general lack of interest in the arts among the Singapore population. Our views are confirmed by a survey that we have conducted. (1) To address the warped perception of employability and actual prospects of art students by leveraging on the power of social media (SM). (2) To increase the interest, involvement, and consumption of news and developments related to the arts by targetting engagement rate on LaSalle’s SM platforms. (3) To further improve the actual employability of LaSalle graduates by bridging the gap between students and potential employers. We are excited to share our strategies with the class on Friday!